The OnePlus 3T has been in house for a good week or so now and it’s bringing back very similar vibes to the OnePlus 3, which makes sense since they are both so similar. Those are good vibes, by the way, as the original OnePlus 3 was already one of our favorite phones of the year. So what’s with the OnePlus 3T? Should you be mad about it’s existence so soon or excited that a company was able to improve a phone this quickly? Maybe a bit of both, but I’d lean towards the latter. 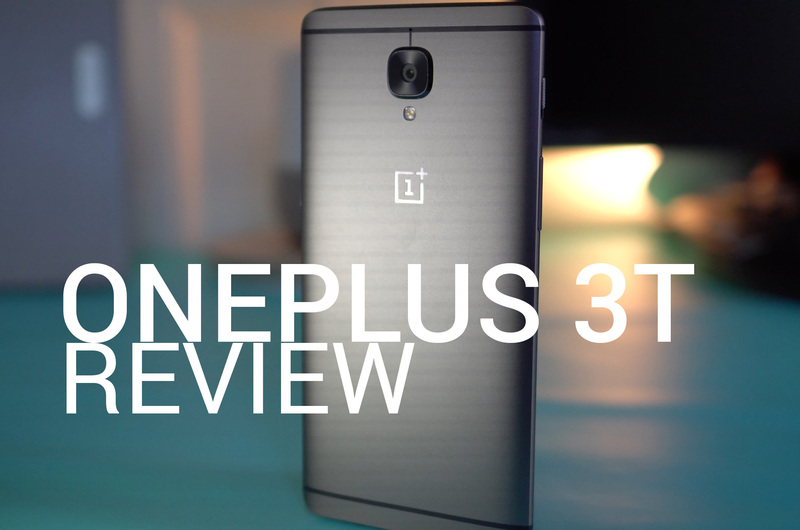 Let’s talk about those ideas in this OnePlus 3T review. EDITOR’S Note: Actually, before we get into this, let’s talk about reviews and how we present them. As you can tell, this is a straight up video review, just like with the Moto Z Play, Honor 8, and LeEco LePro 3. While some of you will always prefer a full written review, we just can’t do that for all phones because as a 2-man shop who likes being a 2-man shop, our time is obviously not unlimited and we have to pick and choose where we go H.A.M. That means we may only have time for a video review instead of a written or both. Why video only instead of written? Well, we like our jobs and know that we can further our reach with video reviews that work both on the site and YouTube. A written review obviously doesn’t transition to other platforms. Make sense? With that said, you should fully expect that the big guys, like the Galaxy S8, G6, HTC’s next phone, Google’s new Pixels, and anything else that is a major flagship, will get both written and video reviews going forward, just like we did with the Pixel and Pixel XL a few weeks back. So why didn’t we here? Because the OnePlus 3T has been reviewed in written form, for the most part. Yes, I’m talking about our OnePlus 3 review. These phones are almost identical, so rather than re-write an entire 3T review, we went video instead. Also, some of the first phones we’ve done video-only reviews for are of phones we may not have even entertained in the past. If anything, these new approach has allowed us to get even more phone coverage to you. Hope that helps explain our focus. Alright, so OnePlus 3T review! The video will go into great detail on all of this, but if you couldn’t tell from the opening, I’m a big fan of the OnePlus 3T, just like I was the OnePlus 3. The phone comes with almost everything you need in a modern flagship, yet has a price that is extremely hard to ignore. You get the metal body and premium finishes, like an alert slider. You get the newest Snapdragon 821 processor with 6GB RAM, up to 128GB storage, an excellent fingerprint reader, nice 1080P AMOLED display, and one of the best Android experiences on the block. I honestly have little to complain about, especially knowing that Nougat will be here in weeks. My few complaints are the same as they were on the OnePlus 3. The camera isn’t up there with the Pixel or Galaxy S7 (or even G5), plus you don’t have a microSD slot, water resistance, wireless charging, or a QHD display. It’s also only a GSM phone, so Verizon and Sprint folks are out of luck. Ready for this? The full review is below.